It’s time for another weekly roundup of content for event professionals from around the web. Once a week, the MeetingPlay blog shares useful and worthwhile content from around the web – spreading the good news of the event technology and event professional’s world! 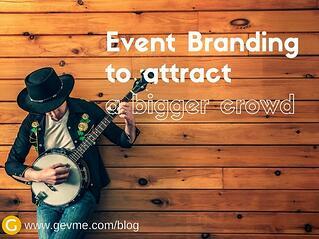 A great article from GEVME (Great Events Made Easy) about branding and how (and why) event branding is so important. The article features 9 branding tips for event professionals. Warning - their is a graphic image under tip #2. The event manager blog is always full of great content and resources for event professionals and event planners. 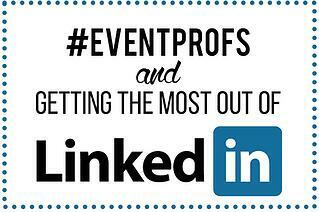 This oldie but goodie from March 2015, provides relevant and quality suggestions, tips, and how to's for getting the most out of LinkedIn as an #eventprof. "#Eventprofs and Getting the Most Out of LinkedIn March 17, 2015 Education 1.1K LinkedIn is the largest professional social network with 347 million reported users – over half of the 600 million professionals in the world. Perhaps surprisingly it is also currently the third fastest growing social network. It is however overlooked by many #eventprofs in their marketing and social media strategy." "Since participants are people too, there are also many different participant types. After years of training, gaining experience with blood, sweat and tears, we present you (based on true stories) A Participant Type Paradox of an Event Owner; 7 Participant Types at Events:"
5 things every event professional can learn from wearing a chewbacca mask? How could you have missed this great article right here on the MeetingPlay blog! Learn what event professionals can learn from Candace Payne's epic and viral laughing mom wearing a chewbacca mask video! Until next week, encouraged and keep up the great events! Want to know how to utilize social media in every way when planning your next event? Grab MeetingPlay's free eBook 'The Ultimate Guide to Social Media for #EventProfs'.